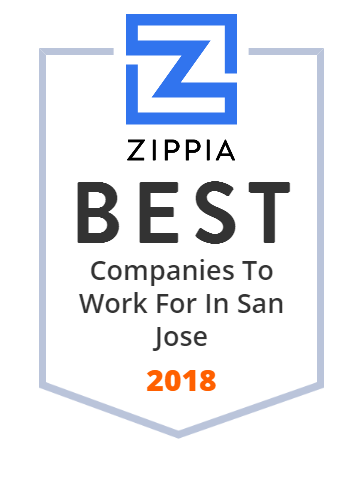 We hand-curated a list of the best companies to work for headquartered in and around San Jose, CA using data on salaries, company financial health, and employee diversity. Cisco Systems, Inc., established in 1984, designs, manufactures, and sells Internet Protocol based networking and other products related to the communications and information technology industry worldwide. The company's technology powers entertainment, retail, healthcare, education, and other markets. Cisco System's core development areas are routing and switching, as well as in advanced technologies such as home networking, IP telephony, optical networking, security, storage area networking, and wireless technology. Today, the company has more than 71,000 employees worldwide. Its headquarters are located in San Jose, CA. NETGEAR has been a worldwide provider of technologically advanced, branded networking products since 1996. The company provides most advanced wireless internet connectivity, superior streaming, remote home video monitoring, security, and storage solutions. Netgear has gained leadership in home connectivity, home media, security and automation, and mobile solutions. The company has over 1000 employees and is based in San Jose, CA. Extreme Networks, headquarted in San Jose, CA, delivers high-performance switching and routing products for data center and core-to-edge networks, wired/wireless LAN access, and unified network management and control. Since its establishment in 1996, the company's aim has been to provide customers with great networking and better experiences. Extreme Networks serves customers in business, education, government, healthcare, manufacturing, and hospitality. Polycom is a provider of communications and collaboration technology. The company offers headsets, desk phones, audio and video conferencing, software, analytics and services that work with any platform. Polycom, Inc. was founded in 1990 and is headquartered in San Jose, California. Polycom sells its products through retailers in North America, the Caribbean, Latin America, Europe, the Middle East, Africa, and the Asia Pacific. cPacket Networks is the leading provider of next-generation network performance monitoring and packet broker solutions. Ablative Solutions has developed a new catheter-based approach for perivascular alcohol-mediated renal denervation - the Peregrine System™ Infusion Catheter. Energous is leading the next generation of wireless charging - Wireless Charging 2.0 - with WattUp , an RF-based scalable technology. AITech International is the industry leader in the development and delivery of PC to TV video scan converter technology. Our VGA to TV scan converters enable you to use your TV as your computer display. Alacritech was a Silicon Valley company which marketed "intelligent" network interface cards to offload TCP/IP processing from the CPU of computer systems to dedicated hardware on the NIC: a concept now known as a "TCP offload engine".